A widely popular rule of life, the 80/20 rule is a smart concept invented by Italian economist Vilfredo Pareto. This principle basically states that 80% of results or outputs come from only 20% of actions or inputs. This principle was a result of Pareto’s observation of the 80% production of peas from 20% of the pea pods in his garden. The idea of the 80/20 rule is simple. It wouldn’t be a surprise if even a grade-schooler could understand it. However, understanding this rule is the easy part. Adding it to your daily life is where it gets a little complicated. 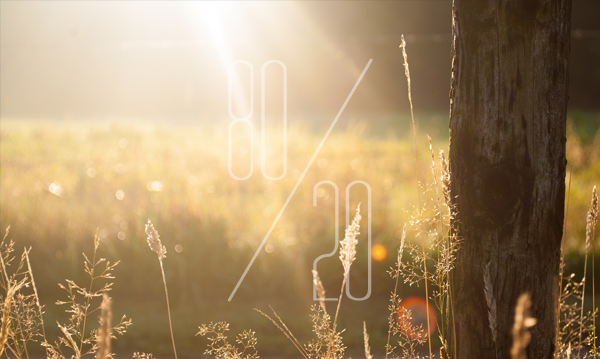 For most people, applying or adding the 80/20 rule to their life might be a bit confusing. So to help you out, we’ve gathered some tips and tricks to help you out. In order for you to become more effective and make the most out of your time, you have to use the 80/20 rule. You can do this by identifying which daily activities produce more outputs or results. The rationale behind this is that only 20% of the daily activities that you do are producing 80% of your desired output. For example, let’s say that your desired output is to clean your house. The tendency is that you do other activities which don’t really achieve that output by watching TV, surfing the internet, and doing other non relevant activities. These unwanted activities usually make up 80% of your time. So you have to think – which activities can achieve my desired output faster? You answer would be – taking out the trash, dusting the furniture, washing the dishes, etc. After identifying 20% of the activities that you do, you then have to fully focus on them to accomplish your desired output quickly and become more effective. By shifting your focus to what’s important, you will not only feel less worried because you’ve accomplished your goal early, but you would also have ample time to do other productive things afterwards. The 80/20 rule can be used as a stress minimizer. With this rule you can already see that only 20% of the things you do give you 80% of the stress you feel. Considering this notion, you already know that only a minority of all your actions give you most of the stress. So, again you go back to the process of identification. You have to ask yourself what activities or actions provide you with the most stress. That way you can eliminate or minimize those stressors. With the 80/20 principle, you can already say that only 20% of the money-making activities you do make up 80% of your earnings. For example, you have a day job which earns you $1000 monthly and you also run an ecommerce online business which gives you more than $5000 a month. A common thought might be that you should quit your job and work more on growing your online business. However, you don’t have to really quit your job to improve or grow your online business. Additionally, you can also have more money by using the same principle for reducing your expenses. With the 80/20 rule you can rationalize that only 20% of your expenses actually provide you with 80% value, which statistically means that 80% of your spending is not very essential or even useless. Knowing that, you just have to minimize or even eliminate the unnecessary expenses that don’t really have an effect on your life or give you value such as regular purchases of the latest gadget, impulse buying of things that you don’t need, etc. Oddly enough, the same 80/20 principle can be used to improve relationships. Using this rule you can see that only 20% of your relationships with others make up 80% of what matters most to you the most. Basically, only a few people in your life really do matter. In order for you to build a better relationship that provides you with the most value, you have to focus on spending more time on the 20% (your family members, close friends, and that special someone). You have to exert more effort while bonding with them in order for you to attain better relationships. With the 80/20 rule, you can have a better and happier life. Just imagine this – you have more free time because you focus more on things that can achieve your goals, you won’t have a stressful life because you minimize or eliminate the activities that give you stress, you make more money because you shift your focus to more profitable activities, and you build better relationships. So basically, integrating the same principle into your daily actions would equate to a happier life for you and for the people that matter to you.